Performance of Theodore Sturgeon's story for WBAI's 99.5 Radio Theatre. The story tells of a representative of the expansionist, imperialistic culture of the planet Kit Carson, and his encounter with the deceptively pastoral culture of Xanadu. Adapted by Baird Searles, with Larry Holpp, Anthony Abeson, Annette Oliver, Cliff May and Deborah Jowitt. Presented by express permission of Mr. Sturgeon and Galaxy Science Fiction magazine, in which the story originally appeared in 1956. Technical production by Sam Sanders. 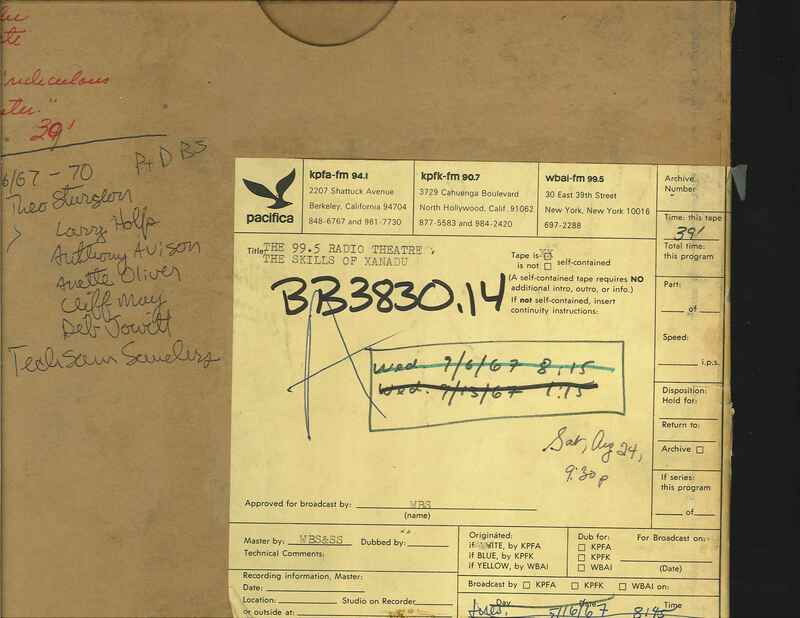 This recording was formerly cataloged as BB3830.14.